Hewlett-Packard CEO Mark Hurd resigned from his post on August 6 amid allegations of possible sexual harassment and falsified expenses. Hewlett-Packard CEO Mark Hurd resigned from his post on August 6 amid allegations of possible sexual harassment and falsified expenses. The decision set off a litany of criticism and questions from the media and shareholders about why HP would release such a financially successful CEO and whether the company was being fully honest. Corporations are often criticized for not being transparent, and HP has a history riddled with secrets and controversy, including a boardroom investigation scandal and a congressional inquiry into the company in 2006. So the company's decision to explain the reasons for Hurd's departure and not just say he is "leaving to pursue other opportunities," shows an effort towards transparency. But some in the industry want more of an explanation from HP, particularly to its shareholders. "They felt they had to release a certain amount of information because they are releasing a very popular and financially successful CEO," says Richard Torrenzano, chairman and CEO of The Torrenzano Group, "but I don't believe they have released enough." Hurd was known for trying to instill more ethical standards into HP's culture after the boardroom scandal. If "he did not live up to what he said he'd do," Torrenzano says, there would be reason to release Hurd. But, he adds, "there hasn't really been full disclosure by the board to shareholders and the public at large." To add more fuel to the fire, David Shane, VP of global corporate communications for HP, recently left the company to start his own consulting firm. HP declined to speak to PRWeek for this article. Mike Paul, president and senior counselor at MGP & Associates PR, says HP handled the situation well and started off on the right foot, but must remember the situation isn't over. "They experienced some really big snafus themselves in doing the wrong thing in the past, and they realized, 'We've got to learn from our lessons, get the information out quickly, tell the truth, and own it,'" he says. "Now they can separate themselves from the situation and the former CEO because they have done the right thing." 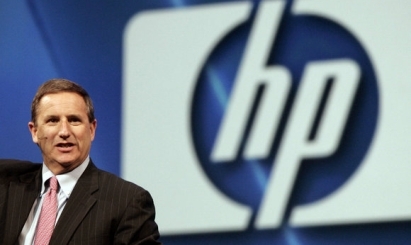 As more of the story came out, the PR agency hired by HP – APCO - also came under fire. APCO gave HP public affairs counsel assessing the situation with Hurd and how it may play out in the media. The New York Times, which originally reported the agency told HP to let Hurd go, said APCO "does not have a particularly strong reputation for crisis management," and other outlets also criticized APCO's handling of the situation. In fact, the agency is no stranger to crisis work, including high-profile cases such as WorldCom and Voixx. "When we do crisis work the goal is not to get us out in front, it's to take care of the client's interests," explains B. Jay Cooper, deputy MD of APCO's Washington office. "So we don't talk about our crisis work." When asked specifically about its work with HP, Cooper reiterates, "We don't talk about our advice to clients," but he did confirm Kent Jarrell is leading the HP project. The jury is still out on whether HP has been completely transparent or handled the situation correctly, but one corporate practice leader at a large agency says this is just a chance to re-examine the role of corporate communicators and PR agencies in a crisis. "This raises great rhetorical questions," says the leader, who declined to be named. "How do you, with certainty, manage a circumstance like this? There are so many variables."